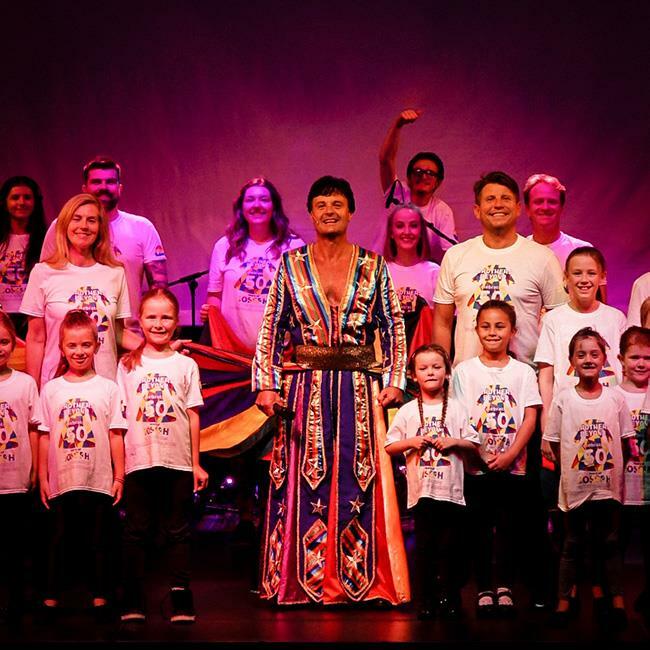 Tread Productions is proud to present this fantastic Musical Theatre tribute show led by former stars from Bill Kenwright’s UK touring production of ‘Joseph and the Amazing Technicolor Dreamcoat’. This year marks the 50th Anniversary of Sir Andrew Lloyd Webber’s hit musical. The production has been created & directed by former Joseph, Graham Tudor, who joined the cast in 1998 as Isachaar and went on to don the famous dreamcoat from 1999-2003 and again in 2005. Since Joseph, Graham has had extensive West End leading roles in such shows as; Grease, Mamma Mia, The Rocky Horror Show. He is also creative director of Tread Productions and is delighted to be bringing this show to Cheltenham! Joining Graham on stage will be none other than West End legend …..and the longest serving Joseph in history! Mr Mike Holoway. Mike also starred in 70’s hit TV series ‘The Tomorrow People’ as well as having a very successful music career with the band ‘Flintlock’.